I love good cheese. And, I admit, I love a tall glass of milk every now and again. But I must say, my love for these things diminish the more I learn about the harms of dairy, especially in relation to cancer. I have delved deeper into the world of vegan cooking the more I cook for my mom and even for my own children. Some dairy in moderation is ok, but the ideal is to move towards reducing or removing it from your patient's diet. 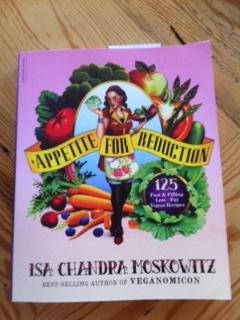 I have a new vegan cookbook that I absolutely LOVE. It is glorious, inspiring, delicious. I am cooking each and every recipe, page by page. I highly recommend it for anyone fighting cancer, wanting to prevent cancer, or simply searching for healthy, enticing recipes. I find it so very exciting! Why do we need to reduce dairy? I have been delving into this topic lately, and even studying the report "Food, Nutrition, Physical Activity, and the Prevention of Cancer: a Global Perspective," researched and published by the World Cancer Research Fund and the American Institute for Cancer Research. Their studies show that diets rich in dairy increase the risk of prostate cancer, and possibly other cancers as well. One of the lecturers in my nutrition program, Dr. Walter Willett, MD, who is Chairman of Nutrition at the Harvard School of Public Health and a professor of medicine at Harvard Medical School, addresses the fact that most of the world is lactose intolerant. Westerners are the only people drinking milk. Hormone levels are very high in dairy, even in organic milk (because the cows are often pregnant, and even if not, they are lactating!) and increased hormone intake in a healthy body can cause free-radicals in the body, which can cause cancer cells to grow. Specifically, these studies show that the hormone IGF-1 has been found to increase your risk of cancer, and accelerate cancer growth. Animal protein is the most significant factor in increasing IGF-1. In your bloodstream, it doubles your risk of breast, cancer, and promotes prostate and colon cancer. Dairy intake also causes inflammation, which prevents the body from fighting free radicals and unhealthy cancer-promoting cells. Reducing, or eliminating, dairy decreases the hormones in your blood dramatically, and also keeps your body in optimum shape to fight disease. So! Let's talk about some fantastic dairy-free meals then! This creamy quinoa and chickpea recipe will really fool you. The creaminess comes from pureed cashews! If you have the time, before making this recipe, soak the cashews in water for an hour. Then drain and use as directed. It makes blending smoother and easier. -Blend for at LEAST 5 minutes, using a rubber spatula to scrape down the sides often, until completely smooth. Make sure you blend the full time, to prevent grainy dressing! -Store in glass jar with lid, or use for recipe above. -Dressing will thicken as it chills in the fridge.